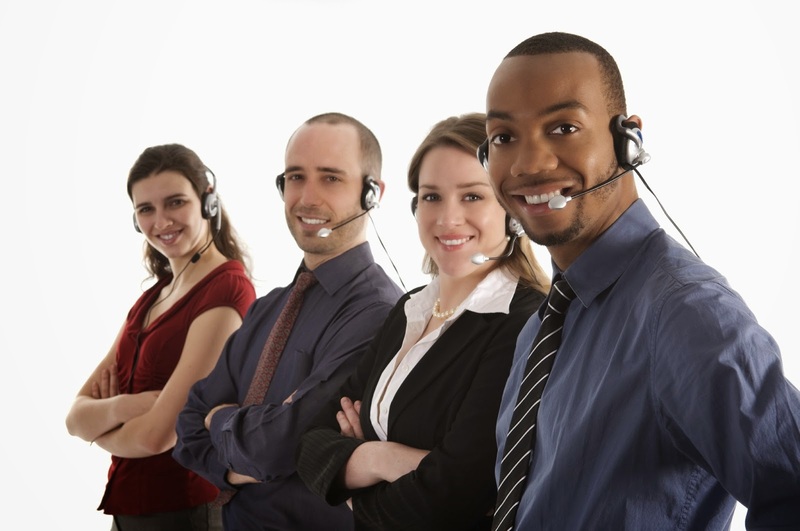 Not all call center workers smile like this. Why it is so easy to establish the service of a product via the Internet and downloading some software, but if you want to cancel that service a few weeks later, you have to CALL to CANCEL? I didn't call anyone to set up, so why do I need to call someone to cancel? But of course I was not aware of this when I signed up for the trial service. They made it seem so attractive to easily sign up, and they said that cancellation before the trial period ends is easy. In August, I received a special offer from stamps.com to upload their software so that I can print stamps at home. I have a new business venture and in anticipation of needing to mail things to people, and to save me time from going to the post office, I thought it would be a great idea to print postage from home. After I signed up, I had to wait just a few days for stamps.com to send me the trial package of blank stamp stickers and shipping stickers. Only after I started reading the additional information they sent me, that's when I learned of their monthly fee for this service, on top of adding money to my account to cover postage fees. Well, the monthly maintenance fee for the lowest level professional account was $15.99. But that was hidden from me in the beginning. Had I known that there would be any monthly fee, besides the monies I would deposit to cover postage, I would not have signed up. At the present, the monthly fee itself would be more than the actual postage I'll use in a month and it would cut into any meager profits I would earn. If I was selling hundreds or thousands of dollars worth of product, $15.99 a month to use stamps.com service would be a bargain. But that's not my situation at the moment. The primary reason why I canceled the service is because the software is not compatible with the printer I use. Plain and simple. I wasted 12 envelopes trying to print out one .48 cent stamped envelope. I kept getting error messages, and incorrect alignment problems, etc. My assessment was that this was not going to work, and I'm perfectly fine with it. I wanted to use this trial service, which gave me a free $5 postal balance, to see if it worked as easily as I thought. But it did not. With a monthly fee that was excessive for my needs, and incompatible equipment, it was clear that stamps.com was not the product for me. I tried to cancel online, but there was no cancellation option. I found a short paragraph that read "To cancel, call us at 1-800..." I knew then that cancelling was not going to be simple. This morning, I called them and I spoke to a customer service rep quickly, and I told him that I wanted to cancel. He feigned concerned as to why would I want to cancel when I haven't given them 30 days to change my life with their product. I explained that after ruining a dozen envelopes to try to print out just one stamp, and getting error messages that said that my printer was not compatible with this software, it was clear that I could not use stamps.com service. He then said, 'Well, perhaps you should have just called our technical department they would have fixed this for you'. I then just curtly said, 'Cancel the service, it's not working for me'. Then he said that he'll be happy to extend the trial service for me so that I can call their tech department or buy a new printer. Can you believe this? So I repeated, 'Cancel the service now please'. Then he went on to say he'll cancel the service but that if I change my mind, they'll have on my file a free month of service when I decide to come back within twelve months. I calmly repeated, almost robotically at this point, 'Just cancel the service and please email me the confirmation'. And he did it, and moments later I received the confirmation. I'm not a confrontational person, I don't like conflict, but I will, under no uncertain terms, stand up for myself, and stand my ground when I want something done, especially when it comes to customer service. I know the man was only doing his job, but there is something wrong with a company when they make it so easy to enroll/subscribe to their product, without contact with customer service, but then if you decide to cancel, you have to go through an orchestrated psychological game of dare and to justify why you want to cancel. This process is known as retention, and it's basically strong arming the customer to continue to use and PAY for a service they no longer want. Period. Many years back, I had to call a marketing company for a business I worked for at the time to cancel service. We totally weren't using it and for over a year, accounting overlooked that we were paying $125 a month for a service that they didn't even remember why they opened it. So they left it up to me to call and cancel. I thought it would be simple, but it was a horrendous call. I believe I was on the phone for at least 45 minutes talking to a loud mouth, persistent saleswoman with a strong East Coast accent who felt she knew my company better than we did and knew what was best for us. I think I got dehydrated after telling her so many times that we just want to cancel, and apparently my 'excuse' for canceling just wasn't good enough for her, so due to exhaustion and completely not giving a damn, I conceded to her and ended the call without having the service cancel. She was a wizard of retention and probably that company's go to girl to confuse and bewilder clients out of canceling their service. I felt frustrated with myself for giving in, and very angry with that company. And from that moment on, I realized that if for my own personal vested interests, if I ever had to engage with someone like that, I would not tolerate it and get the service cancel, period. If a company has to do that to keep a customer, that is not a company I want to deal with. So, sorry stamps.com, you did not impress me with the cancellation process so I will not be back. This mafia style retention process is becoming very common as the marketplace becomes more competitive. Consumers have a right to enter and exit the use of services, especially during trial periods, for whatever reason. Just cancel their service, say thank you, and maybe provide an incentive for them to consider using your services again in the future. But when you put up obstacles to prevent and make it difficult to cancel, they will never, ever use your service again. And in the age of social media and blogging, word gets around real quick about businesses and their practices.